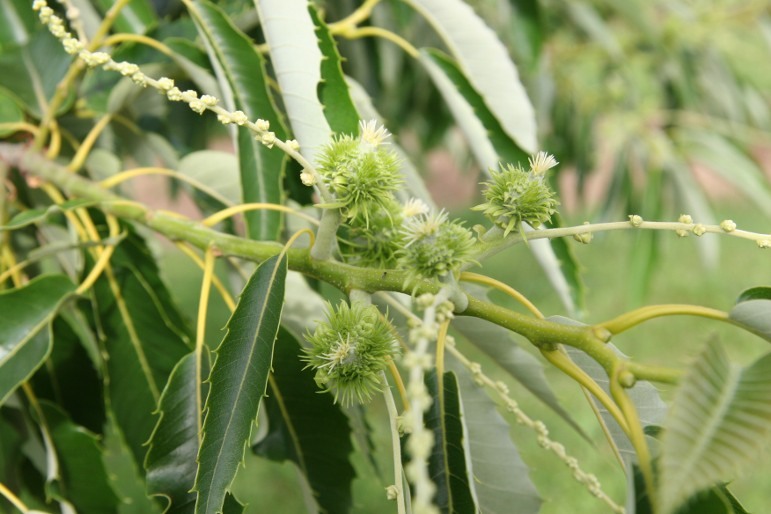 Purchasing Information: The Colossal chestnut cultivar is available for purchase directly from our nursery. 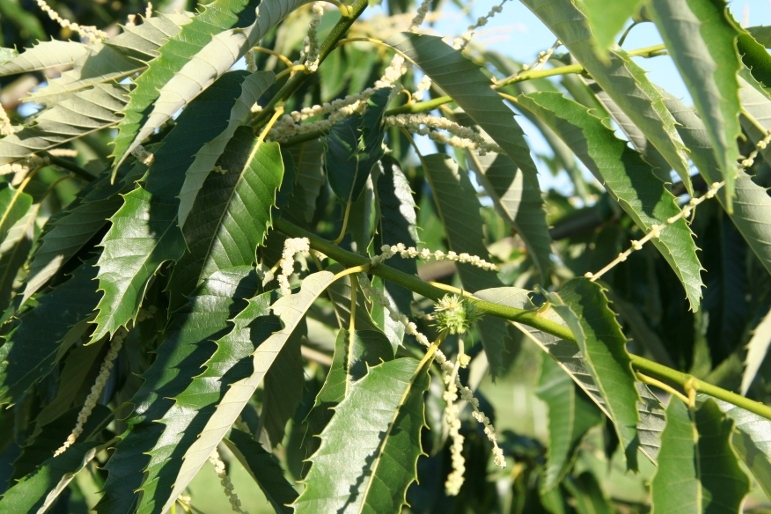 For almost all commercial chestnut growers the Colossal chestnut tree is the industrial producer of the largest nuts, the most nuts, and starting at a young age (sometimes as soon as the 2nd year after transplanting a grafted tree). The tree is more spreading following the Japanese heritage. The wood is somewhat weak causing heavily loaded branches to break under the load. Nuts usually fall free of the burrs. Nut fall is early. Late spring frosts can be an issue with burning the early leafs/buds. Most other charististics of this tree follow the normal description for chestnuts. 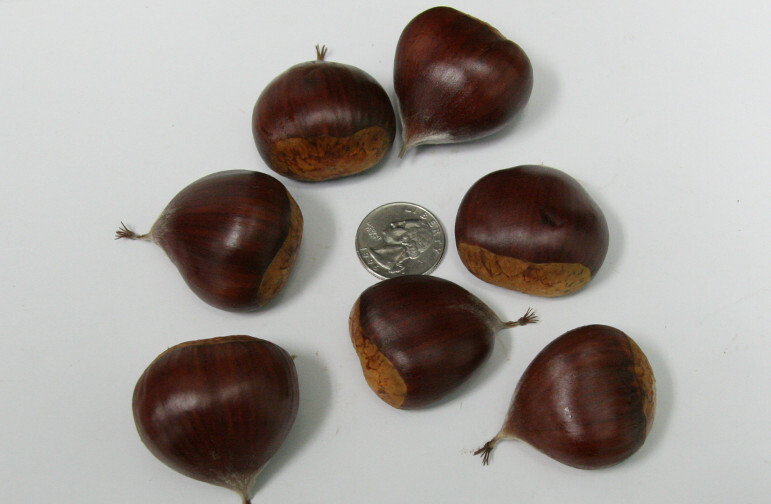 © 2006 - 2012 Washington Chestnut Company All Rights Reserved.